When talking about pedestrian environments I am referring to walkable, inviting places that include the most vulnerable in our communities~the very young, the disenfranchised, those with mobility challenges, and the elderly. This is accessible mobility for everyone in the pedestrian environment. Why is it so challenging to maintain good walking environments with smooth, continuous sidewalk, curb cuts correctly formed in the right locations at intersections, lots of visual interest and places to go to and through? Why do these pedestrian environments, which are proven to be great for enhancing retail’s bottom line seen as an add on in Council reports, instead of having their own distinct plan? Enhancing accessible walkability keeps communities fit, connected, social, and wards off a host of mental and physical disease, and are sustainable. Research done by the esteemed Dr. Larry Frank at the University of British Columbia shows that even people in suburban communities want to live close to schools, shops and services, and will accept a smaller house size to live in those kind of communities. 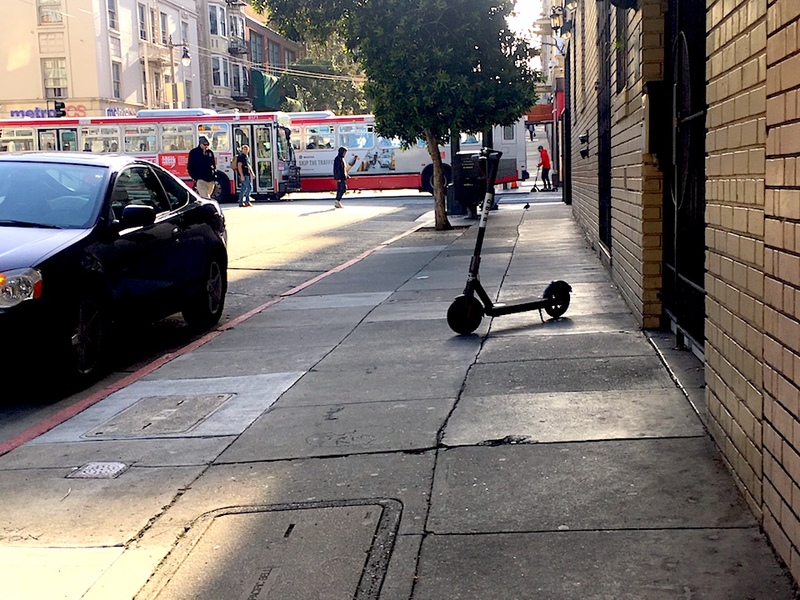 For sidewalk users who do not have the ability to go around these items or are thwarted in moving them, scooters are a huge problem. Children, seniors and people with vision impairment will have these items as a trip hazard. “Now is the time for local governments to regulate the conditions of their use and placement. 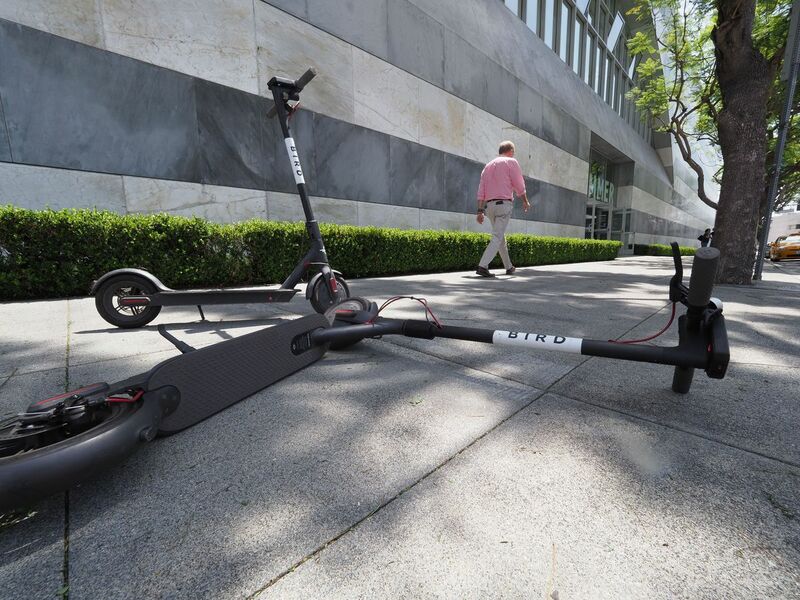 Stiff penalties for blocking sidewalks should be instituted and riders prohibited from operating scooters on sidewalks. Safety is as much a concern as accessibility”. Go and take a look at what has happened in San Francisco. I have written about how scooters now litter public places and how important it is for the City of Vancouver to get ahead of the curve and ensure that regulation is in place to limit scooters from littering the sidewalks. Those regulations need to be strong~in Austin Texas the scooter company has four hours to move a scooter blocking the public sidewalk right of way. That is too long. I was in Zurich last summer where strict regulation means no scooters can be parked on any public sidewalk or pedestrian place anytime. This also comes back to the importance of recognizing the public sidewalk system, with its complexity of users of differing abilities as worthy of having its own standing committee of Council, reviewing each and every report that impacts the walkable public realm. It is time to recognize and embrace accessible walkability as the foundation to community making, and recognize that accordingly in our municipal committees.